The mission of CINAR is to conduct and coordinate cutting-edge research engaging both NOAA and academic scientists to enable informed decisions by NOAA for sustainable and beneficial management of the northwestern Atlantic shelf ecosystem. To develop robust indicators of ecological health and socioeconomic benefits that can be utilized by resource managers. To develop, carry out, and sustain key observational components of NOAA ocean observing missions. 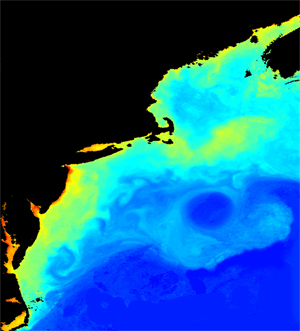 Sustained Ocean Observations and Climate Research.